Welcome to today's weekly Travelfeed Food Of The World roundup brought to you by @for91days. If you're hungry, STOP READING! On Wednesdays, we always feature our favorite food related travel posts. We're starting out with a Vegan experience in Prague, the chosen restaurant is serving up some mean looking meatless dishes. 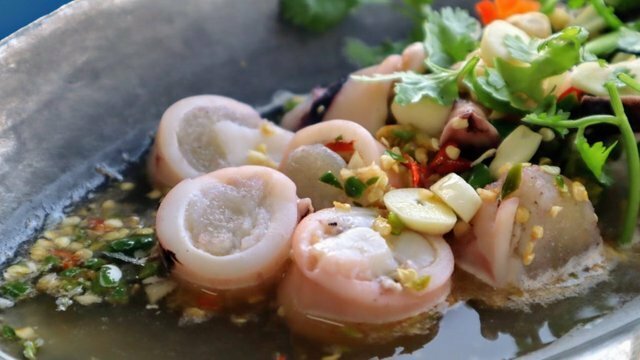 Now let's continue with some seafood from a pavilion restaurant with some amazing views not too far from Bangkok before we close this round-up with must eat street food in Khao Kha Moo, which is also located in Thailand. Enjoy! For starter I took pate made from onions and apples (CZK 60). It was served with raw red onion, pickles and a few pieces of bread. I was curious and skeptical at the same time as combination of onions and apples sound bizarre to me BUT let me tell you that this was the best pate that I've ever had! Must Eat Street Food in Thailand: Khao Kha Moo! They have this habit of eating in Thailand where you have to add your own chilies to your plate and others have pickled cabbage on the side. In my country, we have soy sauce, vinegar, calamondin or its common name is calamansi and whole chilies. I wasn't sure if I should eat it whole with my pork and rice. Am okay to add chili paste in my food but chunks of chili?